A raceable long-sleeve thermal jersey. You'll find the Puro 2 Long Sleeve Jersey on the backs of riders on the Cannondale Pro Cycling Team because its simple yet thoughtful design makes it perfectly dialed for racing when the weather gets cool. 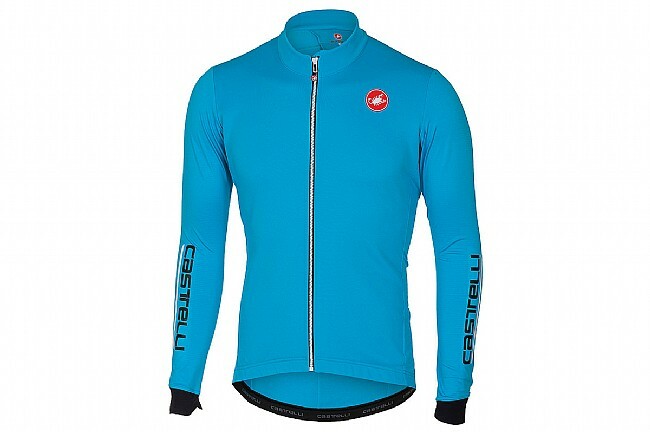 This is accomplished by using Castelli's benchmark Warmer fleece on the body and Warmer X-Stretch fabric on the sleeves to aid breathability and to keep the jersey from flapping in the wind. The jersey has ample storage with three jersey pockets at the rear and an additional zippered side pocket with reflective trim. I'm 6'1' and pretty lean and got the Medium and felt like the sizing guide was spot on. It fits perfect. The sleeves have a little extra fabric around the wrists to fit under gloves. Inside is some sort of thin fleece or something to help keep warm. I'm honestly a little sad it's warming up and I can't wear this in the SummerI'll get some good mileage out of it in the Spring. 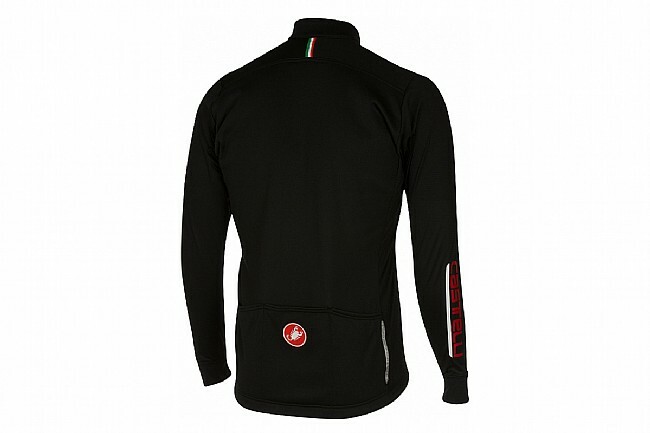 Castelli make nice apparel and this is no exception. Good for cooler to cold days. The sleeves have a little cuff which is a nice touch. Fit is a little small like other Castelli apparel. Very comfortable, yet form fitting jersey with ample back pockets. Typical Castelli fit, I'm 6'3 235, and wear XXL. I wear this jersey by itself in the 50-60F degree range, but also use it as mid layer under a windproof layer down to 30F. It's a little less substantial than the previous Puro jersey but still very nice. I really like the cuffs as they fit neatly under my gloves. Product summary says everything I loved about the hersey. Simple design yet delivers a classy look, provides comfort in all ranges of upper body movements, and provides protection and warmth during chilly days of riding.